Proposing to educate students and fashion industry professionals on natural resources and methods. Founded in 2016, Sechs Element, a Chinese firm based in New York City and Beijing. The mission is to deliver awareness on environmental-friendly solutions that involve manufacturing apparel, with a focus on China. 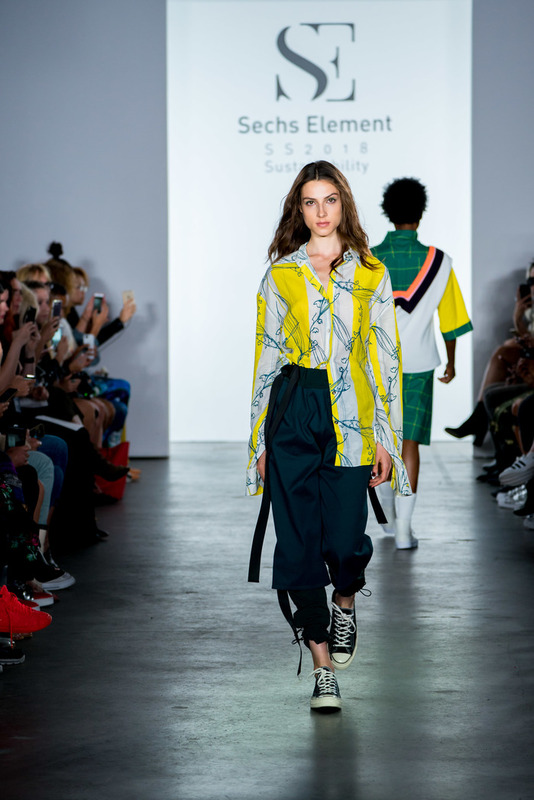 This season designer's selected by Sechs Element delivered something refreshing and exhilarating for their NYFW SS18 debut. The show featured seven talented emerging eco-conscious designers including Peiyang Zou, Chenhui Zhang, Jiaren Du (China), Alice Potts (England), Daria Lutskevich (Belarus), Cen Si (Finland) and Apoorva Gupta (India). Each designer delivered appealing concepts, from modern art to feminine threads to kill bill ninja vibes. The runway show was filled with excitement, definitely one you could not get bored of. Each designer’s approach placed emphasis on contemporary trends like edgy streetwear by CEN SI, earthy layers by Peiyang Zou, asymmetrical cuts by Apoorva Gupta, storytelling through garments by Chenhui Zhang, to interlocking shapes that evolve the style of a garment by Alice Potts. From each designer, there was never a dull moment from any of the designs. As the show went on, in particular, I found designer Jiaren Du’s collection “The Walking Art” incorporation of printed-paper and paint in abstract motifs on the raincoats & latex material, was the one element that stood out on the runway. The idea of becoming a full work of art excited the audience. 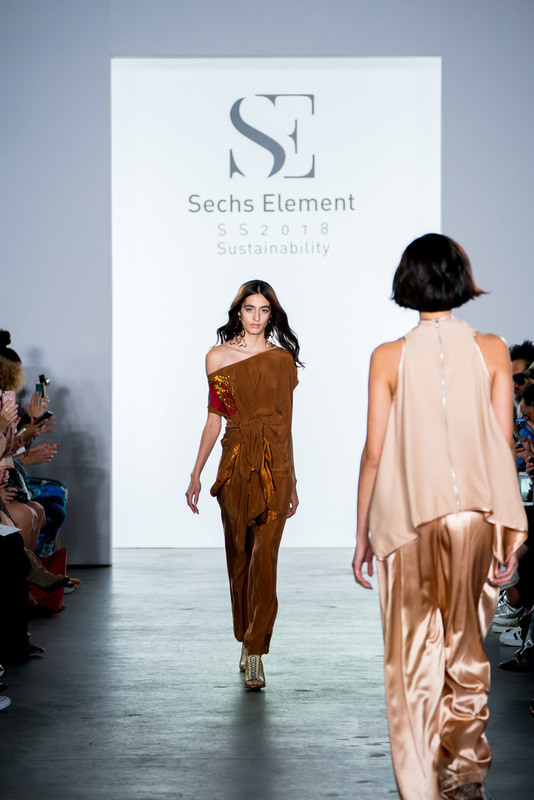 Sechs Element spring summer 18 show delivered sustainable wear to an entirely new level. Accentuating that fashion can be just as savvy with sustainable resources and practices. 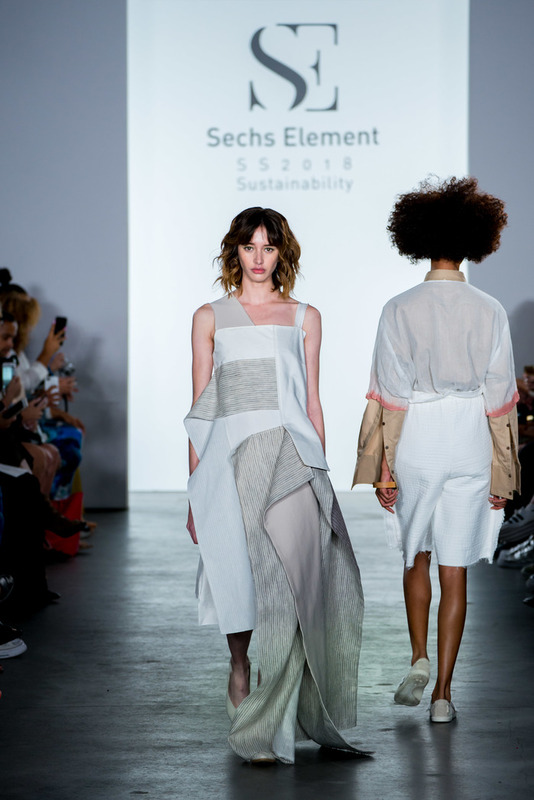 Although, Sechs Element is still developing I’m looking forward to seeing what else the company has to deliver for the future of fashion design.